Shimla: Roads are the primary mode of transport in Himachal Pradesh. 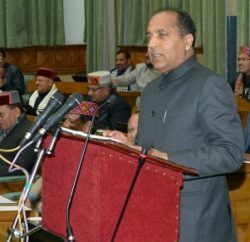 Due to hilly terrain, expansion of the road causing huge damage to environment and the state government has come up with overhead mass rapid transportation system and initially going to introduce in Shimla and Manali town. 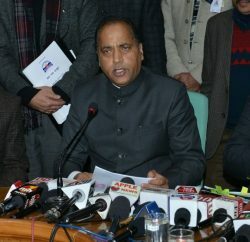 In the budget today, Chief Minister Jai Ram Thakur announced to conduct prefeasibility study to establish overhead mass rapid transportation system in Shimla and Manali Towns and for that the Govt has established the Ropeway and Rapid Transport System Development Corporation (RRTDC) in the Transport department of the State. The RRTDC will also explore the possibility of developing ropeway and other alternate modes of transportation in partnership with the private sector. The Chief Minister also announced to bring out a new Electric Vehicle Policy for enabling provision of safe, environment friendly, contemporary and sustainable transport facilities. 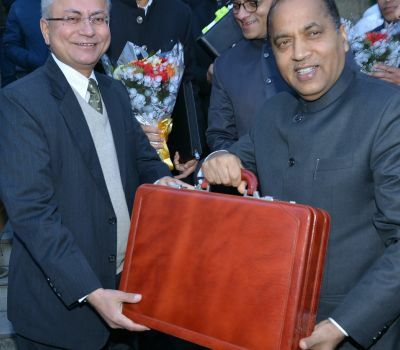 The Chief Minister, in his budget speech, proposed to introduce modern Integrated Public Transport Management System (IPTMS), with an aim to make the journey of the commuters comfortable. The commuters will be able to make cashless transactions during their journey, see the bus time table online and the exact location of the vehicle will be known using GPS, once this system is established. It is proposed to establish state of the art driving test tracks in Baddi and Jasoor, to fully automate driving tests before a driving licence is issued. This will reduce manual interface and will also be useful in improving road safety. To prevent road accidents, the state government has decided to come out with a policy which will ensure coordination between transport department, public works department and police department. The transport department will be the nodal department for overall coordination of these activities. And proposes an outlay of Rs.50 crore for road safety during 2019-20.